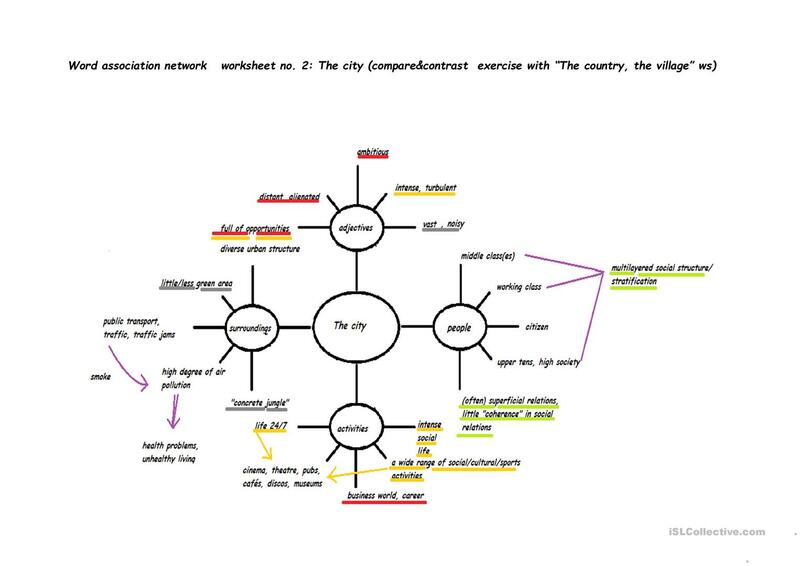 Word association network for improving vocabulary concerning life in the big city. Suitable for compare&contrast activities. The present downloadable printable is recommended for high school students and adults at Intermediate (B1), Upper-intermediate (B2) and Advanced (C1) level. It can be used for improving your class' Speaking and Writing skills. It focuses on the topic and words of World. acsenge is from/lives in Hungary and has been a member of iSLCollective since 2012-04-13 07:51:21. acsenge last logged in on 2015-10-05 12:09:04, and has shared 2 resources on iSLCollective so far.